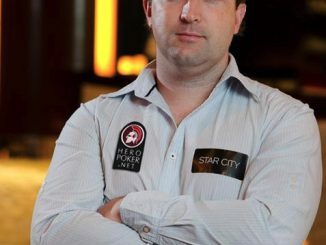 The 2012 Star Poker Summer Series Main Event kicked-off at The Star in Sydney last night with an elite line-up of 46 players taking to the felt from 6.15pm in the Sports Theatre. Players faced five 90-minute levels, which resulted in the field being reduced to 35 after seven and a half hours at the felt, with play wrapping up just after 2.30am. Only a handful of players were seated at the official start of play, but the field steadily increased throughout the evening and included the likes of former APPT Sydney champions Grant Levy and Jonathan Karamalikis, WSOPE bracelet winner Andrew Hinrichsen, Daniel Neilson, Dave Allan, Martin Kozlov, Billy ‘The Croc’ Argyros, Jay Kinkade, Sam Capra and ‘Toothpick’ Tony Kambouroglou. Argyros and Emanuel ‘Curly’ Seal were the last to take their seats just before the end of level two, which proved an astute decision as both will be back for day two on Saturday. But for some, including Levy, Allan and Capra, it will be another 12 months before they get their chance to add a Summer Series title to the resume with all four busting at various stages throughout the evening and early morning. 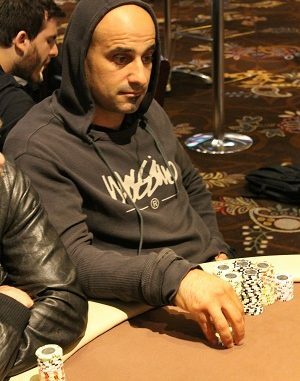 There were no such concerns for Ray Gebrale though, who used relentless aggression to build a relatively big stack more than double his nearest rival at one stage before finishing as the chip leader on a very healthy 122,200. Others to fare well include Neilson, Kozlov, Joel Cohen and Luis Arrilucea, while Karamalikis was down to 8000 early before fighting his way back to finish with 37,500. 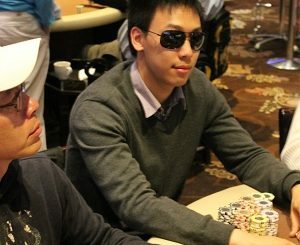 The 35 players day 1A survivors will be joined by the players who progress from today’s second flight, which is already guaranteed to draw a significantly larger field. Play will kick off at 12.30pm and PokerMedia Australia will again be on site to bring you all the live action from The Star throughout the day’s play.